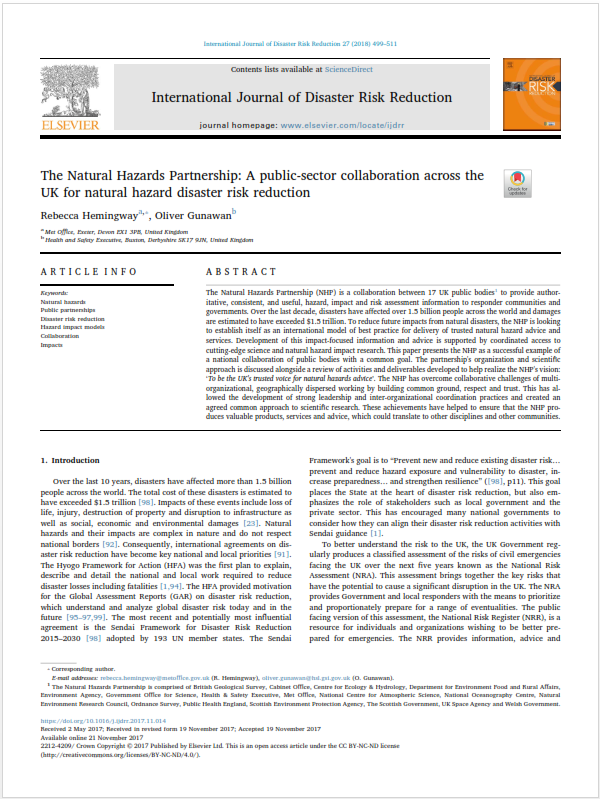 "The Natural Hazards Partnership (NHP) is a collaboration between 17 UK public bodies to provide authoritative, consistent, and useful, hazard, impact and risk assessment information to responder communities and governments. Over the last decade, disasters have aﬀected over 1.5 billion people across the world and damages are estimated to have exceeded $1.5 trillion. To reduce future impacts from natural disasters, the NHP is looking to establish itself as an international model of best practice for delivery of trusted natural hazard advice and services. Development of this impact-focused information and advice is supported by coordinated access to cutting-edge science and natural hazard impact research. This paper presents the NHP as a successful example of a national collaboration of public bodies with a common goal. The partnership's organization and scientiﬁc approach is discussed alongside a review of activities and deliverables developed to help realize the NHP's vision: To be the UK's trusted voice for natural hazards advice’. The NHP has overcome collaborative challenges of multiorganizational, geographically dispersed working by building common ground, respect and trust. This has allowed the development of strong leadership and inter-organizational coordination practices and created an agreed common approach to scientiﬁc research. These achievements have helped to ensure that the NHP produces valuable products, services and advice, which could translate to other disciplines and other communities." Hemingway, R. and Gunawan, O. 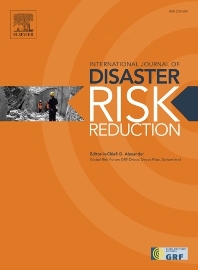 (2018) The Natural Hazards Partnership: A public-sector collaboration across the UK for natural hazard disaster risk reduction, International Journal of Disaster Risk Reduction 27, pages 499-511. https://doi.org/10.1016/j.ijdrr.2017.11.014.